This is a brand new beginners course and it is for beginners only. The course will run for 4 weeks on the same day and at the time every week. Stage 2 will follow on from stage 1 if you wish to continue and so on. We don’t have a cut off level so you can continue pole forever if you wish. If you stay with us, Who knows you could be teaching pole just like us in a few years time or may be you will be preforming in shows and winning big trophies. One thing I do know though is that if you stay with us you will go far and be totally brilliant. At the end of every 4 week course we give you a free practice session to learn all that you have been taught before you continue on to your next level. 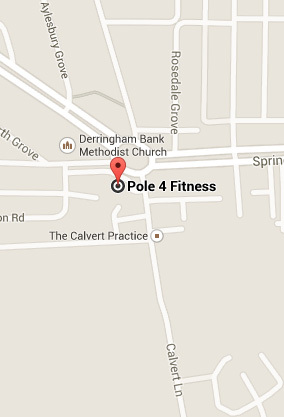 Pole 4 fitness is a great way to get fitter, lose weight and make new friends. It can build core strength and get rid of any saggy bits you might have if you train hard enough. Pole for fitness can become a passion not just a sport and you can gain life long friends here. We are a small family run business with a huge heart and we welcome everyone. We know that our courses are a great way to build not only strength but confidence as well. We can teach you how to love your body and feel empowered. You might not feel this on your first lesson when you are all nervous and scared but it is true. Stick with us and you will become fierce, Ha Ha! On a beginners course you will learn basic moves, spins, skills and dance steps. As well as a warm up routine that you will do before every lesson to warm up your muscles and yourself in winter. There is a maximum of 8 people per class and everyone gets their own pole throughout a course. 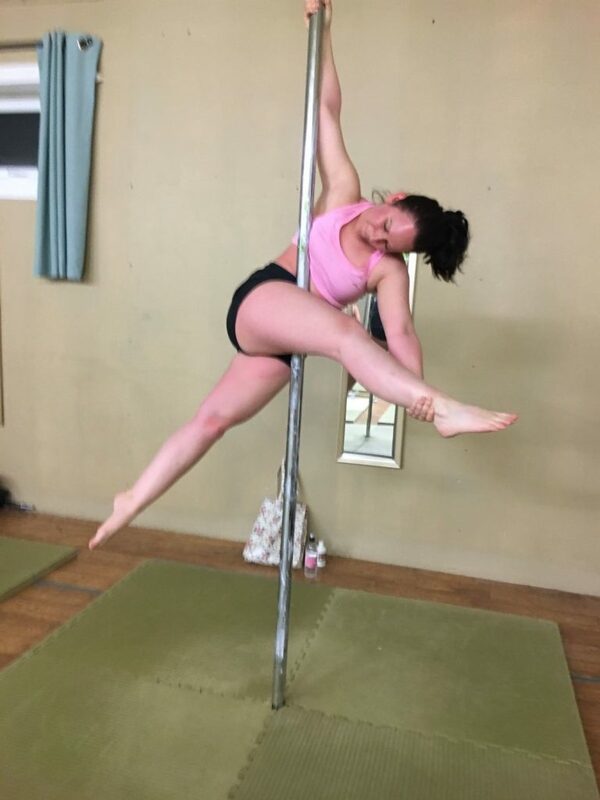 For pole you must wear short shorts and a vest top/ tight t-shirt. Baggy clothes will get in your way and skin to pole contact is needed for most moves and spins.